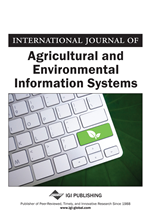 The purpose of this study is to investigate key characteristics for the competitiveness in Greek agro-firms during the time period 2004 to 2011, based on firm level financial data. The study attempts to determine the firms' efficiency as well as the impact of exporting activity in agro-firms competitiveness, and more specifically in fisheries, farms with livestock and farms with fruits, vegetables and cereals. Although many empirical studies have been conducted relative to manufacturing firms' financial characteristics, limited research exists on agro-food firms. The use of DEA method seems to be a very useful tool for efficiency assessment and identification of best practices in firms' management for both managers and the Government as well in order to facilitate the growth of the agricultural sector. In most studies, either profitability, or efficiency or even productivity are used as proxies for competitiveness. For Greece, research on factors affecting Greek firms’ profitability were undertaken (see, e.g., Notta et al., 2010; Voulgaris et al., 2003; Papadogonas et al., 2005; Agiomirgianakis et al., 2006 and the references therein). The present study tries to fill this gap by examines factors affecting agro-firms effectiveness measured as a DEA score as well as with the use of econometric analysis to find out the relation of competitiveness with DEA efficiency and firms exporting activity.